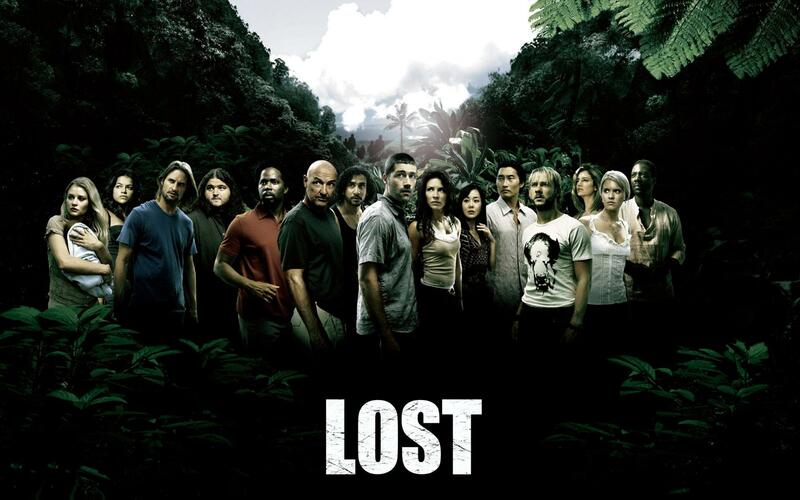 I’ve recently finished watching the series Lost for the second complete time. I thought instead of doing a traditional Finally Caught Up, I’d do a more in-depth Top 10 List. I’d love your feedback when you’re all done! I was always a fan of John Locke and it’s in this episode that we learn about his unfortunate death. However, we believe that he’s come back to life on the island (and aren’t disproven until The Incident, Part 2 when it’s revealed that someone else now wears his face). A majority of the episode takes place back when John Locke turned the wheel and traveled off the island. He reaches out to the Oceanic Six and begs them to return (and we get a nice cameo from Walt, whom he does NOT ask to return). However, when they all say no, Locke is about to hang himself when he’s visited by Ben Linus. Linus gets some key information from Locke before finishing the job and hanging him anyways. It’s a tragic episode of watching a broken man get rejected by those he risked so much to come back and speak to. Amazing work by Terry O’Quinn here. This is the only season six episode on my list. I appreciated the season in general and thought the flash-sideways concept was really cool, though I felt this episode was the best use of that mechanism. On the island, we see Ben struggling to find a place, as he’s vying for power and has now run out of allies. He spends most of the episode digging his own grave, after it was revealed that he killed Jacob. In the flash-sideways, Ben is a high school teacher mentoring a young Alex Rousseau. In the real world, he had chosen the island over his daughter and lost her. In this reality, would he make the same mistake? He chooses to give up power and helps Alex get into a good college. The best moment for me was when he ate dinner with Alex and her mother Danielle. Danielle confides that he is the closest thing to a father that Alex has. Michael Emerson gets a lot to work with here and he does a fantastic job contrasting both realities of Ben Linus. Before this point in season 3, we had zero idea about Ben Linus and his motivations. He was diabolical and manipulative. In this episode, Ben takes John Locke to go see the mysterious Jacob. This episode is great for a couple reasons. First off, we’ve got the incredible pairing of Linus and Locke, which is always full of great tension. We also get a sneak peak at the bigger mythology as we start to discuss Jacob (who we don’t actually see for another two seasons). AND we get to see Linus’ flashback as he grows up on the island. The question of “What happened to the Dharma Initiative?” is answered with an incredible purge sequence, as Ben wipes out the entire operation. A lot happens here, both on a small character level and then also a larger mythology level. And it almost makes you feel a little sorry for Ben, which is a huge achievement. The season 5 finale opens with the most mind-boggling intro. Sure, it was crazy when we discovered Desmond in the Hatch. Sure, it was crazy that there was an entire town on the island inhabited by Others. But this… To meet Jacob for the first time and also learn that someone, this mysterious Man in Black, was out to kill him… Incredible. We then witness Jacob touching all the significant candidates throughout their lives, showing that there was indeed a purpose for them to be on the plane (though was that ever a doubt?). 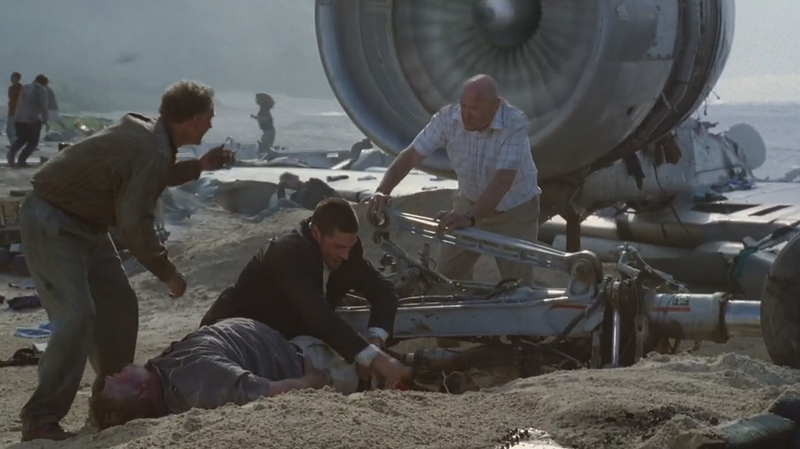 In real time, we’re treated to some intense action scenes as the Oceanic 815ers try to blow up the future site of the Hatch and cause an explosion that would hopefully change the future. In the final moments we get a heart-wrenching exit by Juliet and then we get the first and only white screened logo at the end of the episode, cluing us in that the final season has something interesting in store. Don’t tell me what I can’t do! In the fourth episode of the series, we’re given a look at the mysterious John Locke, who had stood out as a hunter and leader of the group. But who was this mysterious man? 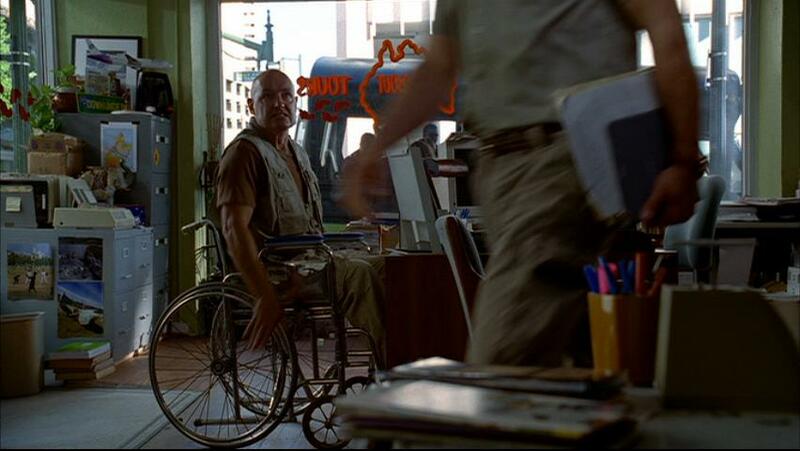 In the flashback, we see mild-mannered John Locke in his average office job and he’s planning to go on an Australian walkabout. The major kicker in the final act is that he’s in a wheelchair. This moment was a jaw-dropper for me when I first watched the show and it was the first sign that there was something supernatural about the healing capabilities of this island. Our thoughts went from survival to “How can that guy walk again?” Stellar work by Terry O’Quinn. This is hands down the most intense and action-filled episode. The innocent men and women of Oceanic 815 and the Others are being besieged by a military group sent from the freighter Kahana, led by devilish Martin Keamy (played perfectly by Kevin Durand). The flashforward shows Ben off the island, traveling through Tunisia and finally meeting up with Sayid and beginning his revenge assault on Charles Widmore. The current storyline features some incredible action, both from gunfire and a few scenes where the smoke monster dominates Keamy and his men. Now, why this episode ranks in the top 5… As I mentioned for the episode “Dr. 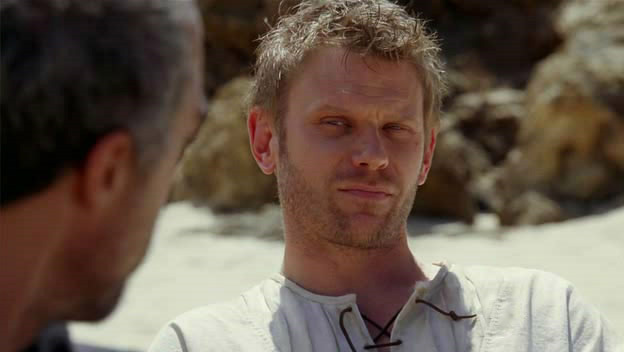 Linus,” he chooses power and the island over his adopted daughter Alex. Here, we see Keamy kill Alex in front of Ben and we get to see the switch in his head. Great moment for Emerson. Let’s talk about Charlie Pace, played by Dominic Monaghan. Charlie only lasted three of the six seasons, with various cameos during the final three. We spend most of the third season knowing that Charlie is going to die, thanks to the psychic powers of Desmond Hume. So when Charlie volunteers to go down to the underwater Dharma station The Looking Glass, he knows it’s a one-way trip. 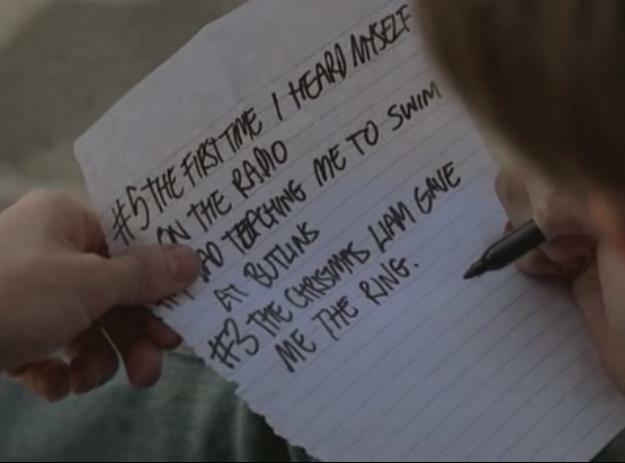 In this episode, he prepares for the trip by jotting down the five greatest hits of his life. These flashbacks give us some cool insight into Charlie and the great things he’s done, while not forgetting the sacrifice he’s about to make. As he writes the final thing (“The day I met you”), you get that feeling in the pit of your stomach that this might really be it for Charlie. And in the season finale following this, it unfortunately is. But it’s a great sendoff and one that’s impossible to forget. This episode really belongs to Sawyer (Josh Holloway) and Locke (Terry O’Quinn). For three seasons, we’ve known two things. Locke has daddy issues that he can’t let go of and Sawyer has revenge issues he can’t forget. Well, those two things come together in an episode where we find out that Locke’s father is the same man as the con man that essentially killed Sawyer’s parents. And when Locke forces Sawyer and Anthony Cooper into a brig in the Black Rock together, things get interesting when Sawyer connects the dots. It’s a satisfying conclusion to this arc as Sawyer kills the man that he’s been chasing this whole time. It’s also great character work by O’Quinn in how he’s unable to kill Cooper himself. Even after adopting a new life on the island, he’s unable to let go of those old demons. Things were weird prior to season four: polar bears, electromagnetism, seeing the future… But in “The Constant,” things go to a new level. This new level is foreshadowed a bit in the strange episode “Flashes Before Your Eyes” in season three but “The Constant” makes much more sense to me. Desmond is like a record off of its track. His past, present, and future are all occurring simultaneously. The only way to keep Desmond sane (and alive) is to have him solidify a “constant,” something that never changes. We get a sweet moment at the end of this episode as he calls Penny both in the past and the present and saves his own life and also is able to tell her about their predicament as a people. The relationship between Penny and Desmond was always romantic and I think this episode showed that regardless of when, they’d always belong to each other. At the top spot, I had to choose the “Pilot.” In a riveting two hour premiere, Lost was able to enthrall and captivate us. Most of us fell in love with this show during the pilot because we couldn’t pull ourselves away. The production value was incredible. The chaos was believable. We were there with them, as the survivors just tried to survive. But in little bursts, it was hinted that things weren’t so right on this island. One of these little bursts is the moment that something tears open the cockpit wreckage and pulls the pilot from it. What the? I knew at that moment that this show was something special. Thank you for reading! Would you agree with this list? What episodes would you argue should’ve been included? This entry was posted in TV and tagged 4815162342, abc, adam ryen daniels, ben linus, charlie pace, desmond hume, dharma initiative, dominic monaghan, i am your target demographic, island, jack shepard, jacob, jeremy bentham, john locke, kevin durand, lost, martin keamy, michael emerson, pilot, smoke monster, terry o'quinn, the constant, time travel, top 10. Bookmark the permalink.